Costs less than premium brands. 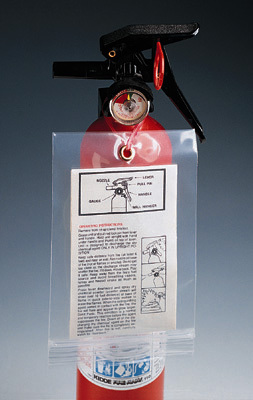 Heavy-duty polyethylene side-welded bags include inserted 12" plastic covered ties. Four-mil style has a reinforced brass eyelet. Meets FDA and USDA specifications for food contact. Call us for details on custom printing. Packing list tie-on envelopes available. Usable size is slightly smaller than listed bag dimensions.